The threat of a worldwide pandemic is real. Modern medicine has come a long way in combating such an outcome, but the danger still looms. And now the government is trying to keep one deadly superbug under wraps. A fungus called Candida auris has the medical community perplexed and deeply concerned. auris has cropped up in Venezuela, India, Spain, and now the United States. The fungus tends to prey on people with weakened immune systems, such as people in nursing homes, and it has a terrifying mortality rate. According to the Centers for Disease Control (CDC), nearly half of the people who contracted the illness died within 90 days. Even worse, C. auris is very aggressive. The CDC says 90% of C. auris infections are resistant to at least one drug, and 30% are resistant to two or more. The medical community is baffled by where C. auris originated. CDC investigators believe it might have originated in Asia, but multiple strains have popped up around the globe, bringing that theory into question. auris first made its way to America in 2012, and there have been a total of 587 cases since. Dr. Sosa also said C. auris was the “top” among aggressive infections. 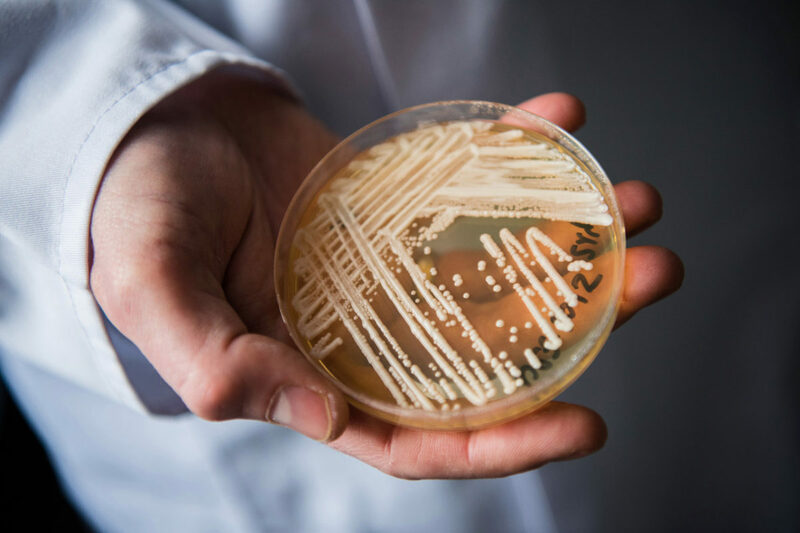 The main contributor to the rise of these superbugs is overuse of antibiotics. When antibiotics are overprescribed, germs build up resistance to them over time. After a C. auris-infected patient died in a Brooklyn hospital last year, the deceased patient’s entire room tested positive for the fungus. The hospital had to use special cleaning supplies and rip out the ceiling and floor tiles to completely eradicate C. auris from the room. One study commissioned by the British government showed that if drug resistant infections aren’t curbed, they could surpass cancer in lethality in the coming decades. Even more concerning, the government has been tight-lipped about the threat of C. auris. The CDC is barred from disclosing the location of C. auris incidents for fear of creating a panic. People want to know if their area is at high risk of the superbug spreading. Even scarier, the next mutation of C. auris might begin attacking the healthy, not just people who are immunocompromised. Threats like this are precisely why prepping is necessary. Be sure to have a healthy stock of food, water, masks, cleaning supplies, etc. Poor health and hygiene are magnets for deadly bugs like C. auris. Make sure you’re prepared to live under quarantine protocol for at least one week. auris is a sobering reminder that we are more susceptible to a deadly contagion than we think. Take the necessary precautions so you don’t get caught off-guard by this, or any other pathogen out there. Because by the time the government actually tells us there’s a serious problem, it might be too late.